There are many reasons why you might find yourself in the market for a Lynnwood Portable Toilet. Many people think about portable toilets and assume they are more trouble than they are worth and that they are unpleasant for those who have to use them. Actually, quite often this is far from the truth. Take a look at the different reasons why you may consider renting a porta potty, and then learn the best place in Lynnwood from which to rent one. 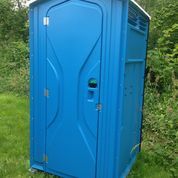 Probably the most common use of porta potties is on construction or other job sites. Often, when the construction process is underway, the plumbing is not yet operational. By providing portable toilets for your employees, not only is it more convenient for them, but it saves you money as your crew is more productive and will not have to leave the site to take care of business. Depending on the size of the job site, there are single potties and larger units available. Have you ever been to a carnival, ball game or race where there were not enough facilities for the attendees? By offering porta potties for community and sporting events, there is less chance of this inconvenience occurring. When planning for a wedding or other big party, one thing you may not have considered is providing facilities for your guests. Portable Toilets are a great answer, and help solve this difficult dilemma. When a business is undergoing renovations, or for whatever reason you are dealing with the difficulties of broken restroom facilities, porta potties can help make life easier. This can mean the difference between a pleasant renovation and one that leaves you stressed. As you can see, there are many reasons why you may choose to look into renting a Lynnwood Portable Toilet. Choosing Superior Septic Service will allow you to get the best price and top quality service from Lynnwood’s finest portable toilet provider.